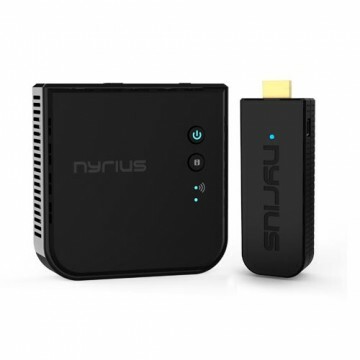 Make your smartphone or tablet come alive with the convenience of a wireless Bluetooth connection to your stereo or home theater system. Listen to music in high fidelity and discover the freedom of your smartphone not being anchored to your music system by a cable or dock. Songo Tap makes any music system Bluetooth enabled. 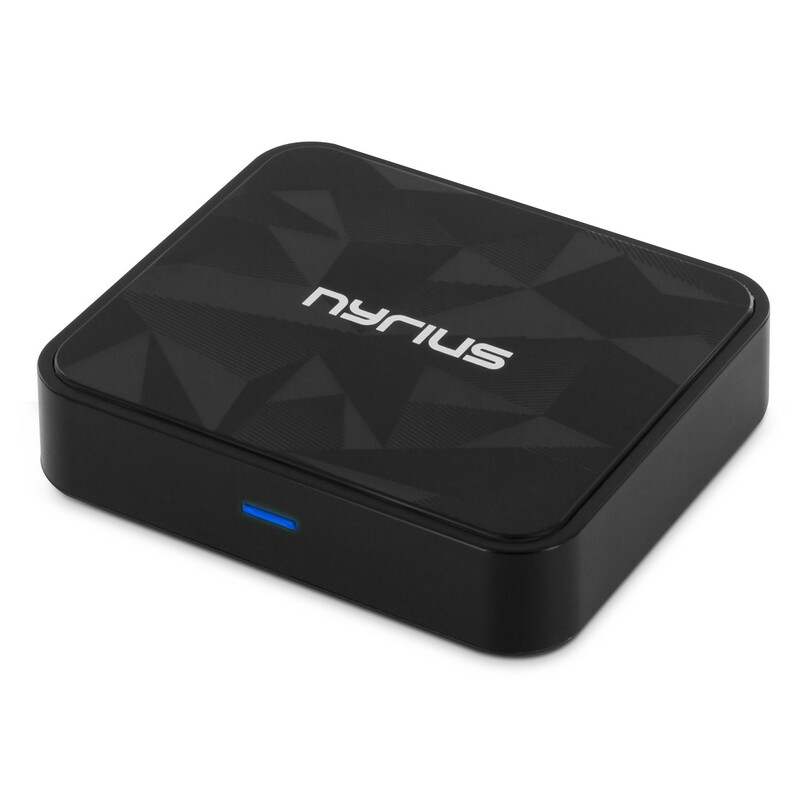 Control your playlist wirelessly while you’re relaxing on the couch or let your friends take turns sharing their music from their smartphone at your next party.The Nyrius Songo Tap Bluetooth Music Receiver is the perfect plug n’ play solution for wireless audio streaming that delivers a superior listening experience. Don’t be fooled by the compact size of Songo Tap, no bass is too deep or treble too high to transmit wirelessly to your music system. Powered by aptX premium audio technology and Bluetooth 3.0 with EDR (enhanced data rate), this exclusive listening experience delivers crystal clear, high fidelity music to your stereo system up to 33 feet. Built with a non-integrated DAC, (digital to analog convertor) the Songo HiFi offers a higher quality audio conversion than most receivers resulting in better sound from your speakers. Songo Tap is designed to deliver the fullest frequency range of your favorite tunes without any interference, unlike other Bluetooth devices that over-compress audio and can lose connection with your device. 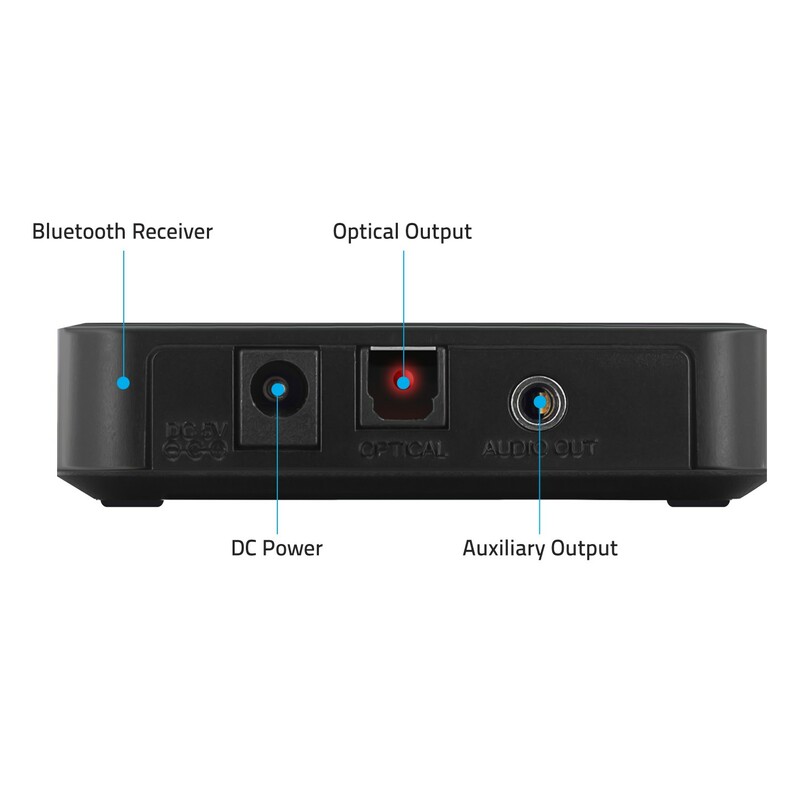 Songo is designed to simplify audio connectivity without sacrificing sound quality. With wireless Bluetooth audio transmission, keep your smartphone in your hands while freely listening to music through your speakers without messy wiring or inconvenient docking. With Songo Tap, setup is extremely simple – plug the receiver into your music system, wirelessly pair your smartphone or tablet, and you’re set. No software or app required. Compatible with iPhone, iPad, iPod, Samsung, Android, Blackberry, PC, Laptops or any of the other 900 million Bluetooth audio devices. 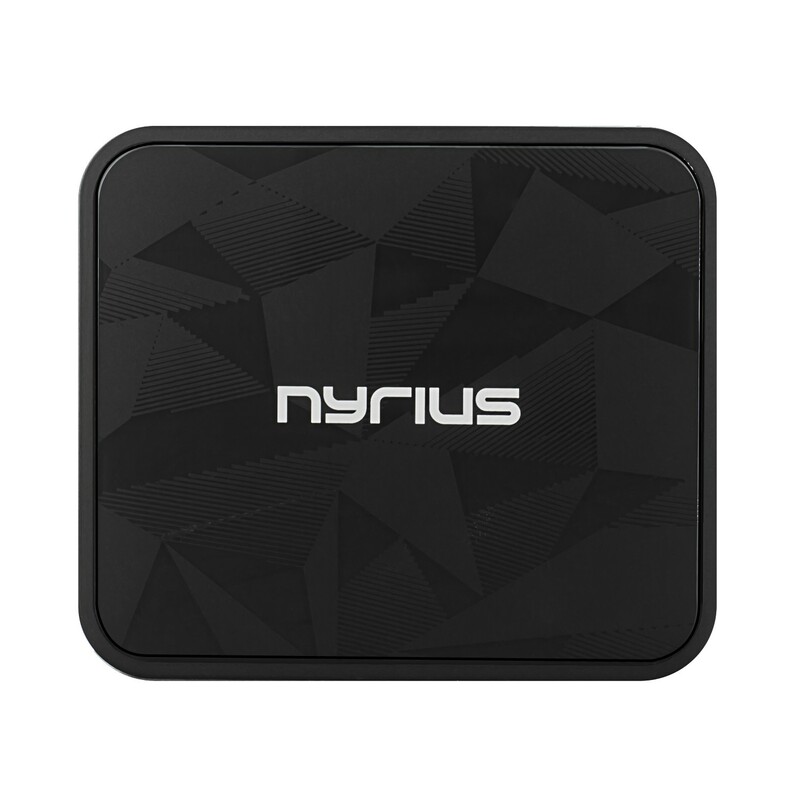 Sync to your music system using Bluetooth pairing or instantly with NFC (Near Field Communication) technology. Simply touch your NFC-compatible smartphone to the top of Songo Tap and it will connect to your music system instantly – it’s that simple. Spend less time with setup and more time enjoying your music. Sound quality is important for every music listener, that’s why Songo Tap offers multiple connection methods including digital optical Toslink or 3.5mm auxiliary output to your stereo system. The optical connection carries a digital audio stream that results in a signal that is purer, as well as truer to the original recording. 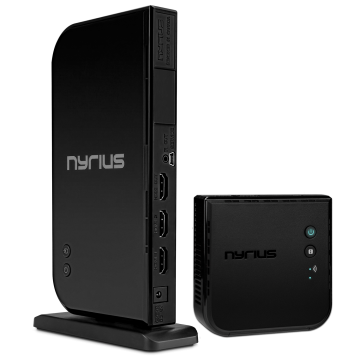 Both connections can function at the same time so you can stream to two music systems at once. 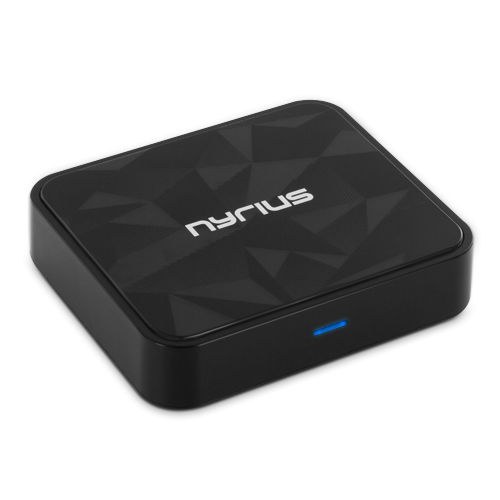 Whatever your preference, Songo Tap delivers the flawless audio quality you’ve come to expect from Nyrius. Whether you’re listening to music with family at a barbeque or with friends by the pool, Songo Tap makes it easy for everyone to share their favorite songs. Store up to eight mobile devices and experience the power of music bringing people together. 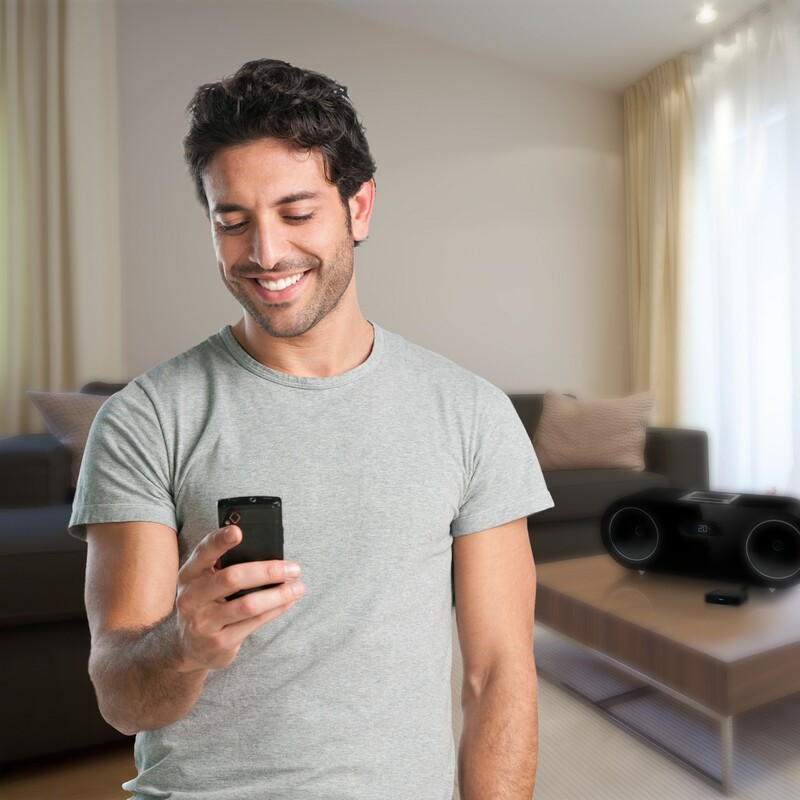 Entertain guests at your next party by streaming music wirelessly over your home speaker system. Have an iPod dock and just recently purchased a new Android phone? No problem, turn your iPod dock into a Bluetooth speaker. Enjoy the freedom of listening to your mp3 music while still keeping your smartphone in your hand so you can send and receive texts. Tap and play instantly. Avoid going through your smartphone settings to pair to Bluetooth. Conveniently answer phone calls without the hassle of disconnecting any cables or undocking. The music will continue to play once your conversation is over. This little gadget appears to be pretty much the same as the Monoprice unit with a slightly different enclosure. The packaging and packaging innards are identical. The blue LED is a lot less bright and annoying as the Monoprice though and for some reason, the sound seems a little better too. 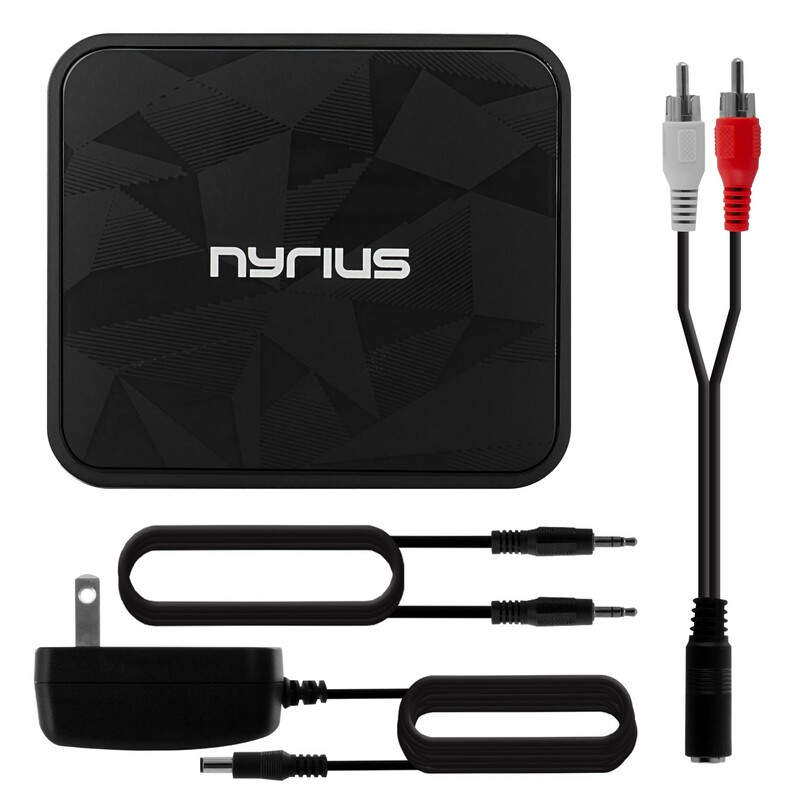 All in all, I am very happy with this and for anyone who wants casual Bluetooth connection to their home stereo from their IOS or Android Bluetooth device, this does the trick and is very easy to set up. Works like a charm. Works exactly as it's supposed to! Sound quality is great and connectivity is fantastic. Works great. We now stream our mobile music to our high end home hifi system. Using it right now and loving it. Works well so far. Unfortunately the range is not great, but this was expected. I bought it to send a signal from the basement using my Android Nexus 5 phone to the A/V receiver upstairs in the living room. Even with the phone directly below in the basement (8 feet away through the wood floors) the signal often started to drop of. Somehow this almost never happens using iPad 2, so that's what I use now. I guess iPad sends a stronger signal. 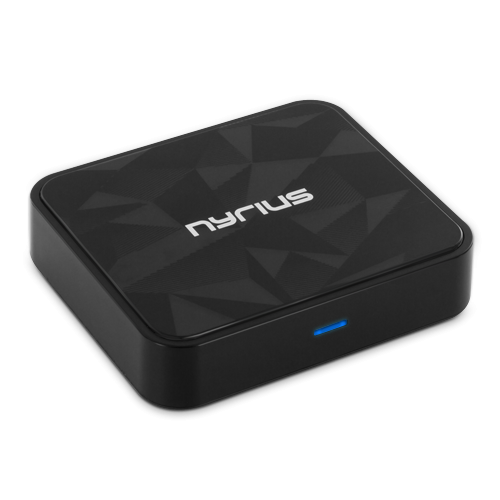 I still need to have it directly under the Nyrius receiver, but at least it works. This saved me from having to return the unit. As for sound quality - I don't have a AptX support in my iPad or Phone, so can't comment on it. I am using Boston Acoustic outdoor speakers in the basement - and sound quality is adequate. Performs as advertised, very easy connect with no password. Performs as advertised, very easy connect with no password. Line of site signal about 25 foot. Very good transfer with no distortion. Works great! My only con is the reception could be better. It does go through a wall or two and about 15ft away through two walls. Otherwise I love it! Has both analog and digital inputs and couldn't be easier to connect to the stereo. Bluetooth worked instantly with IOS, Android and Windows phones. No brainer. I originally used this for my 11.2 Yamaha receiver and it worked great. Now I use it to get Bluetooth connectivity to my Bowers & Wilkins Zeppelin Air speaker. I have nothing but praise for this Bluetooth receiver. Very Happy! 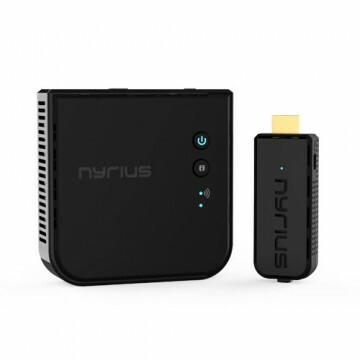 outstanding product - i ordered it with denon m39 music system and it syncs perfectly - best part is that even after disconnecting when i am in range with my bluetooth device it autoconnects and syncs - one of the best i have used. Easy to hook up and sounds great! Works just as described and we love it.There are some skips/ineruptions from time to time, but this is expected with any bluetooth devise. However, overall we are very impressed by the quality of sound it produces. Awesome product. Highly recommended. Works like a charm and setup was easy.